We service quite a large number of New Braunfels home air conditioners each summer and frequently run through when it is best to pursue a repair or replacement for broken or failing systems. While many technicians will simply tell you that your system is approaching its expected lifespan, and thus pressure you into an early replacement, we do things a little differently. We utilize an honest, straightforward system for recommending when an air conditioning system is better to repair or replace. 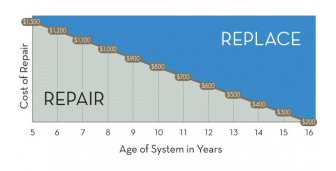 If over 5,000, replace system. If under, repair is probably worth the risk, and replacement is not necessary at this time. or finishing an attic or basement, and this can place an unachievable burden upon a home’s air conditioning system. In these rare circumstances, even a working system can be a candidate for immediate replacement. 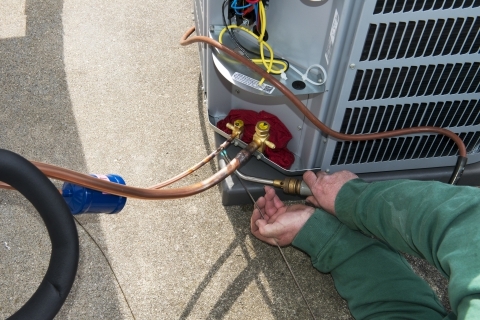 In any case, we will walk you through the pros and cons of repairing your current system versus a full air conditioning installation. We believe that simple honesty is best, and numbers don’t lie. Your home air conditioner is supposed to last 10 years, but it could have a major problem that accelerates that or be fortunate enough to far exceed that. Our job is simply to advise you and provide excellent service. Doing things this way, we assure our customers that the repair or replacement is the best course of action for them. 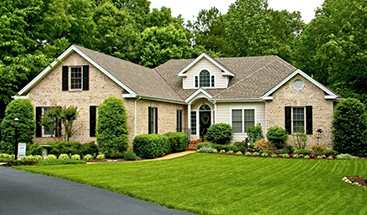 Schedule your home’s free consultation today!